You will be able to Learn Best iPad Pro 2018 Hidden Features, Tips, and Tricks That You Must Check Out. Today we are here with Detail guide on iPad Pro 2018 features. As we all know, it’s not the hardware specs alone that define a phone. The software also plays an important role in making it a complete experience. This one is fantastic. Whenever you have a keyboard attached or paired with your iPad Pro, just double tap any key to wake it, and to trigger Face ID. This is a real improvement over having to authenticate with Touch ID every damn time. I’ve read elsewhere that this only works with the space bar, but any key will do the trick. 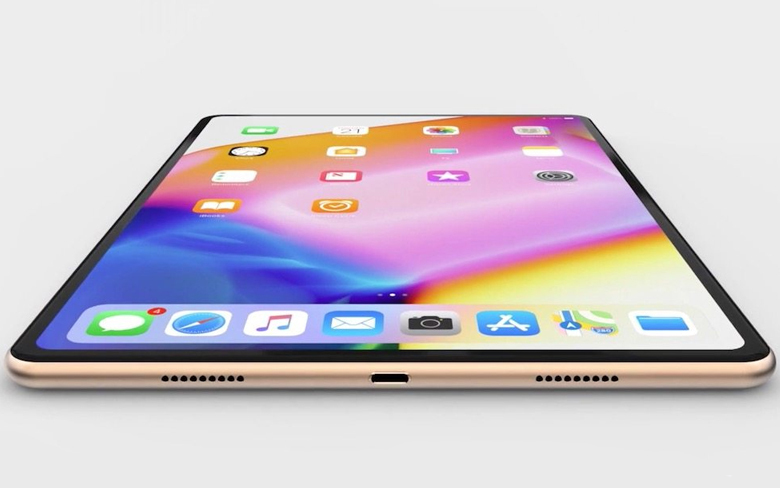 The first tap wakes the screen, and Face ID unlocks the iPad. The second tap dismisses the lock screen. Face ID will work most of the times, but sometimes, in weird angles, it still fails. Don’t worry. You don’t need to enter your passcode every time this happens. If you’re confident that your face is lined up correctly, just swipe up again to get a second try. You can make FaceTime calls with Animoji and Memoji on the iPhone X and later, but it’s way better on the iPad. To use Animoji and Memoji in your FaceTime calls, just start a call as normal, then tap the little space-atom icons at the bottom left corner of the screen. This brings up the Animoji and Memoji panel. If you have previously created a Memoji (on any of your devices), it’ll show up here. If not, pick a pre-made Animoji. If you’ve got the Smart Keyboard Folio attached, you don’t even need to touch the screen to unlock your iPad. Just double tap the Spacebar, look at the screen and boom, you’re in. The new iPad Pro has no home button, so the old screenshot trick of simultaneously pressing the power button and the home button no longer works. Instead, you have to press the power and the volume up buttons together. It’s kind of like a Vulcan Death Grip, and is tricky to execute. In Settings, tap your name and under iCloud turn on iCloud Backup. If you need to buy monthly iCloud storage to do so, don’t be a skinflint – just eat the costs. And if you’re a Mac or PC, hold your nose, download iTunes, and periodically back-up your iPad to that as well. To get to the App Switcher, you swipe up from the bottom, till the middle of the screen. Make sure it’s a swipe and not a flick or you’ll end up closing the app or bringing up the Dock. Siri has moved from the home button to the power button. A long press will activate him/her. You can also use Hey Siri, just like on any other iOS device. Both are activated by dragging from the bottom of the screen to get at the Dock, and then dragging an icon. For Split View, drag to the left or right of the screen (as shown); for Slide Over, plonk the icon somewhere else. Either way, it pays to store favorite apps in the Dock, ready for when you need to do a spot of multitasking. To access the Control Center, swipe down from the top-right section of the status bar. Where you see the time and status indicators for Wi-Fi, BlueTooth and more. When you’ve got two apps open in Split View, try using Drag and Drop. It’s supported by all Apple apps and a variety of major productivity apps. Drag and Droplet you select text, images, videos, links and more from one app and drop it in another. If you’re doing some research, you can quickly drag in paragraphs of text and images to a Notes document. One of the most frustrating things in iOS is using copy and paste. Drag and Drop feature takes care of this annoyance. Now that Siri has taken over the sleep/wake/power button, you can no longer long-press it to power down the iPad. Instead, you need to press and hold the power and the volume down buttons simultaneously. This will bring up the standard shut-down screen. One nice side effect of this is that the iPad won’t go into shutdown mode if you accidentally long-press the power button. This used to happen to me when I put the iPad into a case the wrong way up. The 2nd Generation Apple Pencil is how the Apple Pencil should have always been. It doesn’t have the stupid cap anymore, or a Lighting connector. Just put it on top of the iPad in Landscape mode and it connects to iPad magnetically. And it starts charging it wirelessly. If you keep your Apple Pencil docked like this, it’s always going to be charged and ready to go. Quickly tap on the iPad screen to automatically wake up the screen and open a blank note in the Notes app. This way, you can quickly start scribbling without the need to navigate the Notes UI.